To add a subscribe link to your email marketing footer, you must specify a signup form as default. If you do not have a form set to default, there will be no subscribe link in your footer. 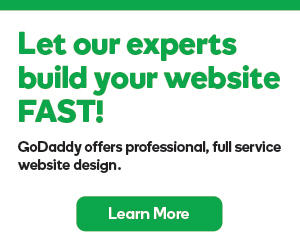 GoDaddy Email Marketing will also link to the default signup form wherever you use the [[subscribe_link]] macro anywhere in your campaign. Click on Signup Forms at the top of your account page. Locate the form that you want to set as the default, and hover to the right of the Share button. A Set as Default button will appear. Click that button to set that signup form as your default. You will now see the Subscribe button in the footer of your campaign! You can always return to your Signup Forms page to check the default form settings. The active default form will display with a Set as default tag. Simply select the Set as default option next to any other form in your account. Keep in mind that you are only able to select one form as your default. Navigate to your Signup Forms page. Click the visible Set as default button to toggle the setting off. After you've added the subscribe button to your email footer, set up a welcome email to automatically send to your new subscribers.